Aaron Mandel DipWSET balances his full-time career as an attorney with his role as Director of Education for the USA’s largest consumer-based wine education organisation, the American Wine Society, all while studying for his Master of Wine. He tells us what he hopes to achieve through AWS’ new partnership with WSET and what makes WSET the right partner for the job. As an attorney by day, how did you come to be so actively involved in the wine world? My involvement in wine is a source of constant amazement to me. Wine was not a part of my youth. I started tasting wines in my twenties but did not start my formal wine education until I was in my forties. Once that education started, I found wine so interesting that I continued to work through different programs until one day I found myself with my WSET Diploma and being accepted into the Master of Wine program as a student. It has been a wonderful experience. Having started your formal education with the Society of Wine Educators, what inspired you to go on and complete WSET qualifications up to the Diploma? The SWE had two certificates when I started: Certified Specialist of Wine (CSW) and the Certified Wine Educator (CWE). Ironically, given my current position as Director of Education, after obtaining my CSW, I had no interest in teaching wine courses. CSW also lacked a tasting component. WSET combined both the theory and tasting elements for which I was searching. Originally, I expected only to complete up to Level 3 Awards in Wines, but I was enjoying WSET so much I continued until I obtained my Diploma. Wine was not a part of my youth. I started tasting wines in my twenties but did not start my formal wine education until I was in my forties. As a wine judge, how does your WSET background help you assess wine systematically and in a universal language? When you judge wine in a competition, you typically judge with a panel of other judges. Judges do not always agree. So, a wine judge must be able to communicate their opinions clearly and provide their fellow judges a solid basis for why they judged a wine in the manner they did. This requires you to be able to assess every element and explain what you found, where the wine succeeded and where the wine fell short. Having a systematic method for assessing a wine is imperative if you are to judge efficiently and effectively; you cannot just wing it. A universal language helps you communicate with your fellow judges so that any discrepancies are understood and can be discussed. How do you balance your role as a wine judge and educator with your full-time role practicing law? Good question. Balancing these roles requires constant effort. My vacation time is always spent either at wine competitions or attending wine programs. Many evenings and weekends are used for study or teaching. I have been fortunate to work with great people who understand my passion for wine; they think it is odd, but they let me do my thing. I also have been fortunate that my wife is very supportive and enjoys visiting wine regions with me. What is the purpose of the American Wine Society? As Director of Education, what do you hope to offer your members? With over 7000 members, the American Wine Society is the largest consumer-based wine education organisation in the United States. We have hundreds of chapters throughout the country where people can learn about wine and socialise with other wine lovers. When I started as the Director of Education, most of the formal education the AWS offered to its members was at the annual conference through the Wine Judge Certification Program. I wanted to expand our programming to provide wine education to members who do NOT look to become wine judges and simply want to know more about wine. Additionally, I wanted something for members who will not be coming to the conference. We’ve since added an elementary wine education program at the conference. For those who are not attending the conference, we have begun both an online series of videos about wine tasting and online power point presentations about several wine regions. We are excited to be offering WSET programs to our members in the future. While we are going to start by offering WSET Level 2 Award in Wines and Spirits to our members at the conference, our hope is to one day offer the classes to our members on a regional basis. The AWS’s primary focus is wine education, and the combination of theory and tasting offered by WSET will be an excellent way to enhance our members’ experiences. WSET has entered a partnership with the American Wine Society, which will see AWS offer WSET courses for members. 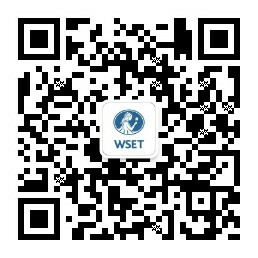 WSET has also become a professional member of the society.